Martin Kampmann (right) takes on Diego Sanchez at "UFC on Versus 3"
Moving right ahead from the mixed bag that was UFC 127, Versus and UFC bring another live televised event, the first of what will be several in 2011. The year-old UFC-Versus partnership is one of the results of UFC’s contract extension with Spike TV. In late-2006, Spike TV had exclusive rights to air UFC programming on cable television. With the then-fledgling-now-defunct International Fight League close to signing a TV deal with the then-fledgling Versus network, UFC parent company Zuffa bought World Extreme Cagefighting (WEC) and offered it to Versus, thus cockblocking the IFL deal. Versus took the bait, and in the years since then, WEC has had a televised home for their smaller weight divisions. With the UFC and Spike extending their previous agreement, which was scheduled to expire this year, Zuffa was able to get cable non-exclusivity, thus allowing them to air UFC programming on Versus. This gave way to UFC Live on Versus events and, less than a year later, WEC’s complete merger into the UFC. UFC Live on Versus shows have been an extension to Spike TV’s quarterly / tri-annual UFC Ultimate Fight Night series. The last event, UFC Live on Versus 2, headlined by Jon Jones vs. Vladimir Matyushenko in August 2010, drew an 0.86 rating and 991,000 viewers. This was a drop from the first event, UFC Live on Versus, headlined by Jones vs. Brandon Vera and featuring Junior dos Santos vs. Gabriel Gonzaga, in March 2010. That event drew a 1.1 rating and 1.24 million viewers, peaking at 1.4 million viewers for the Jones-Vera match. For this third show, perennial headliner Jon Jones has now vaulted to pay-per-view headliner status, in his challenge to Mauricio ‘Shogun’ Rua for the UFC light heavyweight title. 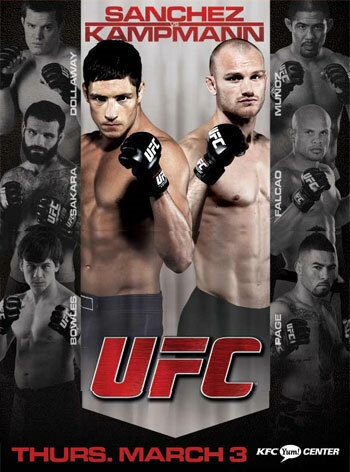 The UFC Live on Versus series, hitting its first anniversary, gets Diego Sanchez, the very first Ultimate Fighter winner, versus Martin Kampmann, a Danish kickboxer who is undefeated in his four Spike TV appearances. A few familiar faces are also returning to Versus programming, like middleweight / light heavyweight Alessio Sakara and WEC alums Mark Munoz, Brian Bowles, and Damacio Page. Rounding out the card are also fighters who’ve appeared on the untelevised portions of Versus events, including Igor Pokrajac, Rob Kimmons, Takeya Mizugaki, Shane Roller, and Steve Cantwell. UFC will be broadcasting two undercard matches, Cyrille Diabate vs. Steve Cantwell and Danny Castillo vs. Joe Stevenson, on their Facebook page (www.Facebook.com/ufc). To see this stream, users must first ‘like’ the page. 265 lbs. – Todd Brown x Igor Pokrajac: Pokrajac has several UFC fights under his belt, and went the distance with Stephan Bonnar and Vladimir Matyushenko. ‘Bulldog’ Brown has made a name for himself in the Midwest, finishing four opponents in a five-fight win streak before debuting in the UFC last August (losing via decision to Tim Boetsch). He is reportedly a Brazilian jiu jitsu brown belt and Muay Thai Kru (trainer), though the Indiana Muay Thai scene is not particularly high-profile. Brown will have his hands full with the big Croatian. 170 lbs. – Dave Branch x Rousimar Palhares: Branch was on the receiving end of the infamous Gerald Harris KO slam at UFC 116 in July last year, but since then, he’s bounced back with unanimous decision wins over Tomasz Drwal and Rich Attonito. Palhares beat Drwal earlier last year with a heel hook in round one before being overwhelmed with punches from Nate Marquardt in September. He can hang with veterans like Henderson and Jeremy Horn, but will have a significant reach disadvantage. If Branch can use his jiu-jitsu to his full potential, this could prove to be an interesting grappling chess match. 185 lbs. – Dongi Yang x Rob Kimmons: It’s Yang the striker vs. Kimmons the grappler here. Eight of Yang’s nine victories are by TKO, while Kimmons owns 14 submissions out of 23 wins. That said, Kimmons himself was submitted by chokes by Dan Miller (a brown belt at the time) and, in his last fight, Kyle Noke. Chris Camozzi was the first three-round war Yang went through, and he likely learned a lot from it, but he hasn’t faced a ground practitioner of Kimmons’ pedigree. 135 lbs. – Takeya Mizugaki x Reuben Duran: Replacing Francisco Rivera, Duran makes his UFC debut after a series of recent wins over local fighters with moderate records. Mizugaki has gone the distance with the likes of Miguel Angel Torres, Scott Jorgensen, Jeff Curren, and Rani Yahya, albeit with mixed results. Urijah Faber put him to sleep in Faber’s 135 lb. debut. Mizugaki has the experience edge to grind out a decision. Prediction: Mizugaki via unanimous decision. 155 lbs. – Shane Roller x Thiago Tavares: Roller is an Oklahoma wrestler who has five choke-out victories in his eight WEC matches, and his only two losses during that same tenure are to Ben Henderson and Anthony Pettis. Tavares went 12-0 before dropping a decision to Tyson Griffin. Since then, he’s had mixed success, but went to a draw with Nik Lentz (then 17-3) and submitted Pat Audinwood in 2010. On paper, one would think that Roller would go for the choke, but not having faced a jiu-jitsu practitioner like Tavares, I wouldn’t be surprised if Roller kept it on the feet or event went for standing chokes. Prediction: Roller via split decision. 185 lbs. – Cyrille Diabate x Steve Cantwell: After some mixed success under the Zuffa banner (including being the last WEC light heavyweight champion before Zuffa amassed the 205ers into the UFC), Cantwell makes a twice-delayed return to the octagon. His three losses were two to Brian Stann (closing out their trilogy) and a unanimous decision to Luis Artur Cane, Jr., the latter of whom Diabate later punched out last year at UFC 114. Two different medical conditions prevented Cantwell from competing in 2010, so expect ring rust to be either a motivator or (more likely) a factor. Diabate has far more experience and, more importantly, stayed busier, going 3-1 during Cantwell’s hiatus. A loss for Cantwell could mean a contract release. That wouldn’t be the worst thing in the world, as it would allow him to rack up some wins elsewhere before trying again in the UFC. 155 lbs. – Danny Castillo x Joe Stevenson: I can see ‘Joe Daddy’ taking this to the ground as much as I can see this wrestler vs. wrestler match staying on the feet. Castillo, who trains with Urijah Faber’s Team Alpha Male, should keep it on the feet, with the height advantage, momentum off a KO win, and with Stevenson coming off a KO loss. 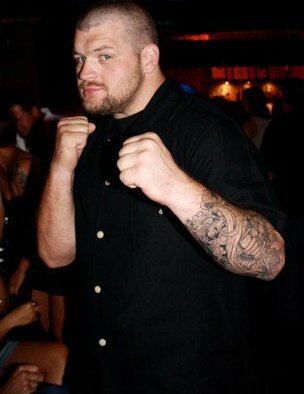 Stevenson joined Greg Jackson’s MMA team mid-2009, resulting in a 2-2 record, though his two most recent matches were a KO loss to Mac Danzig and a decision loss to George Sotiropoulos. He can be hit-or-miss in his performances, and with a potential third loss in the most stacked division in the UFC, he needs the win to continue to be taken seriously. 185 lbs. – Alessio Sakara x Chris Weidman: Representing the Serra-Longo Fight Team in New York, Weidman (4-0) is an NCAA All-American wrestler who finished his first three opponents in the first round. Between his credentials and team association, Weidman is getting fast-tracked to the big leagues, but he’s getting no warm welcome in that UFC debut. Sakara has fought sparingly of late – one match in 2009 and 2010, but those matches were a split decision win over Thales Leites and a TKO win over James Irvin, respectively. His only losses since 2007 were TKOs to Houston Alexander and Chris Leben. The experience differential will be a lot to overcome. With his NCAA wrestling and submission credentials, Weidman’s grappling abilities aren’t to be underestimated, but are Sakara’s, whose last submission loss was to BJJ black belt Dean Lister in 2006. 145 lbs. – Brian Bowles x Damacio Page: This is a rematch from their August 2008 bout, where Bowles submitted Page in a guillotine choke in round one. Demetrious Johnson caught Page with the same choke in Page’s last match, but it’s not likely for lightning to strike again for Bowles, who is returning for the first time in a year, after suffering a broken foot in the fall. Coming off a loss and gunning for revenge from years back, Page has the right motivation. 185 lbs. – CB Dolloway x Mark Munoz: As a D-1 NCAA champion out of Oklahoma, Munoz has the better wrestling credentials. Dolloway has five TKO wins under his belt, but four of those date back to 2007 and prior. Both have great teams behind them: Dolloway from the Arizona-based Power MMA Team that includes Ryan Bader and Aaron Simpson, whom Munoz beat by decision in November, while Munoz works often with Team Black House, which includes the Nogueira Brothers, Lyoto Machida, and the Chairman of the Board – Anderson Silva. Munoz should be able to direct the match wherever he wants it. Prediction: Munoz via TKO or unanimous decision. 170 lbs. – Diego Sanchez x Martin Kampmann: Sanchez is no stranger to lightweight or welterweight. He’s back at Jackson’s MMA in Albuquerque and living sequestered in the mountains, so notwithstanding losing the ‘Nightmare’ moniker, Sanchez is clearly focused on reviving the fighter who took the UFC by storm in 2006 and 2007. Kampmann, on the other hand, is incredibly well-rounded to begin with, and went the distance with Jake Shields in a split decision. Kampmann is susceptible to fast strikers, such as Paul Daley and Nate Marquardt (who came down from 185 to 170 lbs.). Given that, Sanchez has a great advantage with his speed, but Kampmann is a survivor, no matter how close he is to the edge. UFC on Versus: Kampmann vs. Sanchez Preview. In the past, MMA ratings on Versus have not held their own compared to Spike programming. The last two UFC Live on Versus shows have drawn an average of 1.1 million viewers, the lower end of Ultimate Fight Night programming. To be fair, WEC programming also declined from its debut, aside from high-level fights involving Urijah Faber. That said, Sanchez vs. Kampmann is a strong headlining match, as both have been showcased on “free TV” UFC events. The undercard doesn’t necessarily boast many indelible personalities, and in pitting two wrestlers against each other in Mark Munoz vs. C.B. Dollaway, this could prove to be either a surprising slugfest or a challenging clash for control. The show is booked with some exciting scrappy matches which hopefully will outperform and add eyeballs to what should be a thrilling TV main event. 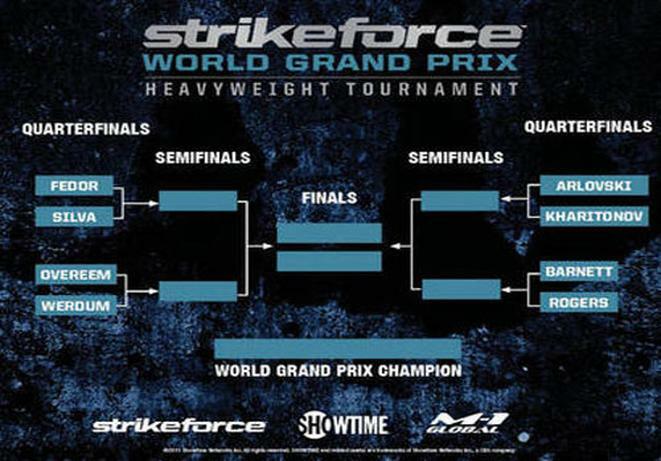 Modeled after the beloved tournaments in PRIDE Fighting Championships, Strikeforce and Showtime are bringing their World Heavyweight Grand Prix to American soil in 2011, and the first round is only days away. In a nutshell, Strikeforce’s top eight heavyweights will face off in an elimination-style tournament scheduled to run throughout the year, with the first two quarterfinal matches taking place on February 12th and the second two quarterfinals occurring in April. 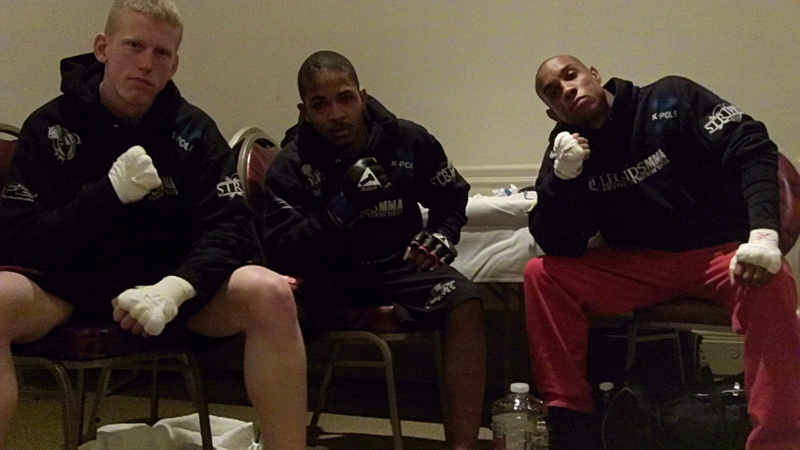 The four winners from that round advance to the semi-finals and fight on a later Strikeforce show. And finally the finals, presumably in the fall. Of course, former PRIDE FC heavyweight king Fedor Emelianenko is the odds-on-favorite to win, but more importantly, the tournament has an imaginative mix of established international stars alongside Strikeforce’s top heavyweights, which gives fans something engaging to debate. How well do the foreign fighters adjust to fighting in a cage / America / Strikeforce rules? Does Arlovski still symbolically represent the UFC here? Can Josh Barnett put his licensing and steroid testing issues behind him and compete at the level he did in the PRIDE GPs? Moreover, Strikeforce has two or three alternate matches in the chamber, involving fighters that, while perhaps not at the same level as the main eight, have reasonable credentials of their own, and, should they step up and perform if and when called, could be built into viable company stars. 155 lbs. – John Cholish x Marc Stevens: Both men step into the cage with college wrestling credentials – Stevens under Josh Koscheck at SUNY (State University of New York) Buffalo and Cholish at Cornell University. Stevens was also Koscheck’s first pick on season 11 of The Ultimate Fighter, though he didn’t perform as expected. Aside from his TUF stint, Stevens didn’t fight in 2010. Stockbroker by day, Cholish is an up-and-coming Renzo Gracie fighter who’s faced some respectable East Coast names (Rich Moskowitz, Hitalo Machado) to earn a 5-1 record, with two submission and TKO wins, respectively. My rule of thumb is that between two ground specialists look for the fight to take place primarily on the feet. That said, how well Stevens has polished his submission defense remains to be seen. 170 lbs. – John Salgado x Igor Gracie: Gracie has an even 2-2 record, splitting wins and losses in 2008 and 2009 before taking a break in 2010. Salgado has fought consistently since 2008, at 4-4-1, and will look to snap a two-fight losing streak. This will also be something of a revenge match for Gracie, as Salgado beat Gracie teammate Renato Migliaccio via split decision last April. Assuming this fight takes place at welterweight, as was reported elsewhere, look for Gracie to have the size advantage. 265 lbs. – Chad Griggs x Gian Villante: Between their 18 cumulative fights, these men share 13 KO / TKO finishes, so expect fireworks. Griggs recently made his name known as the guy who stopped Bobby Lashley’s undefeated streak. However, Griggs’ only fight between Lashley and 2007 was a first-round KO. Villante is a homegrown hero in New Jersey’s Ring of Combat promotion, going 6-0 from his February 2009 debut to April 2010, mostly first-round TKO and KOs. Griggs’ Lashley win could possibly have lit a fire for him, but Villante will have the advantage of more recent activity. 265 lbs. – Valantijn Overeem vs. Ray Sefo: This is an interesting clash of veteran kickboxers at different stages in their careers. Sefo is 2-0, his last win in 2009 against journeyman Kevin Jordan. But Sefo has also been training at Xtreme Couture for at least a year, which isn’t too shabby a place to build one’s overall MMA game. Conversely, the younger Overeem has been more active in the past three years, going 4-2 against mediocre competition in Europe and Japan. With 16 submission wins, don’t be surprised to see Overeem work for the takedown. But don’t be surprised to see Sefo have some surprising answers for those challenges. 265 lbs. – Shane Del Rosario x Lavar Johnson: Experts have been predicting big things for Del Rosario, as a steady-rising prospect with speed and strength. Johnson is also no joke, riding a seven-fight TKO/KO streak since 2008. Both share recent TKO wins over Samoan son Carl Seumanutafa and the heavy-handed Hawaiian Lolohea Mahe. Johnson’s history includes an amazing comeback story from near-death, after taking several gunshots in 2009. He’s 2-0 since then. Del Rosario will have the youth advantage, and likely the edge in cardio and grappling. Though both men like to duke it out, Del Rosario might try to extract Johnson out of his element with takedowns. Prediction: Del Rosario via TKO or submission (round two). 265 lbs. – Andrei Arlovski x Sergei Kharitonov: Out of 13 matches from 2002 to 2009, Arlovski finished his opponents 11 times, won a unanimous decision over Fabricio Werdum (UFC 70, 2007), and lost only twice, both times to Tim Sylvia. However, he’s also lost his only three matches since 2009, starting with the infamous Fedor-authored KO. Arlovski’s chin has always been suspect, and many say he has never been the same since the Fedor fight. Kharitonov, a former star in PRIDE FC, hasn’t competed against a lot of top talent since that time. Indeed, he KO’ed current Strikeforce champ Alistair Overeem, but that was 2007 and against a very different (smaller and 1-3 in his previous four matches) Dutchman. The question is whether Arlovski found his mojo again. If not, Kharitonov may be warmed up and sharp enough to put him away. Prediction: Kharitonov via unanimous decision. 265 lbs. – Fedor Emelianenko x Antonio Silva: For most, this is a foregone conclusion of Fedor finishing Bigfoot in the first round. To be fair, Silva went the distance with Fabricio Werdum, as opposed to Fedor’s first-round loss to Werdum, but that’s pretty much where it ends. Silva will have the size advantage, but so did Brett Rogers, Andrei Arlovski, Tim Sylvia, and Hong Man Choi. Prediction: Emelianenko via TKO / KO (round one). Because so many casual MMA fans 1) started watching after the heyday of PRIDE FC Grand Prix (watch what you can of 2000, 2003, and 2004) and 2) don’t follow Strikeforce as closely as UFC, this tournament is a great opportunity for Coker & Company to establish itself as something more than “the other MMA company.” The collection of talent involved all have legit MMA credentials (over half are former PRIDE GP participants and two are former UFC world champions) and are as memorable as characters and they are as fighters. Moreover, the fact that six are foreign fighters absolutely gives the grand prix a “global” feel, a sense that these are among the top MMA heavyweights from around the world. Indeed, after two years of being stuck in the shadow of the UFC, even while working hard to establish its own identity, Strikeforce now has something distinctive to offer the casual MMA fan. By now the latest ‘best staredown in UFC history’ is all over the internet (http://www.ufc.com/media/ufc-126-weigh-in-staredown-cutdown in case you missed it), as are most of the experts’ predictions for UFC 126. But now that this is posted and you’re reading this, ALL the (relevant) experts’ predictions are up. Have at it. 170 lbs. – Mike Pierce vs. Kenny Robertson – Hailing from Indiana, Robertson comes into the UFC not just with a perfect 10-0 record, but nine finishes, seven by submission and only one by decision. At 11-3, Pierce is a five-time veteran of Zuffa cages (four UFC fights and one WEC fight), with three going to decision. On one hand, first-time UFC jitters could affect Robertson, but if Pierce isn’t able to finish early (and since 2009, four of six matches have gone the distance), that could give Robertson enough time to catch an arm or leg. Prediction: Robertson via submission (round two or three). 205 lbs. – Ricardo Romero vs. Kyle Kingsbury – After reigning supreme in the New Jersey-base Ring of Combat promotion, Romero ‘got the call’ last year for UFC 116, where he subbed veteran journeyman Seth Petruzelli, adding to Romero’s then-five match finishing win streak. Kingsbury is a longtime resident of San Jose’s AKA (home of UFC champ Cain Velasquez and Josh Koscheck) and standout of Team Nogueira on season 8 of The Ultimate Fighter. The Arizona State football vet is punishing in the cage, but isn’t known for finishing opponents, which lends to Romero eventually finding an opening to submit him. Prediction: Romero via submission (round three). 155 lbs. – Gabe Ruediger vs. Paul Taylor – This likely is a loser-leaves-town match for both men, as Taylor’s last six matches have gone the distance, and of those, his record is 2-4. Ruediger did himself no favors on season five of The Ultimate Fighter (2007), getting expelled from the show after failing to make weight, but then sparked a six-match win streak from February 2009 to July 2010, stepped up to fight Joe Lauzon on a two-week notice at UFC 118 in August. Lauzon won by submission, and this match is company reciprocation for being a last-minute replacement in that match. Ruediger’s jiu-jitsu is dangerous, but he’s never been able to implement it to success in the UFC. Taylor has heavy hands, and the longer this match goes, the better Taylor’s chances of overwhelming him. Prediction: Taylor via TKO (round one). 135 lbs. – Norifumi “Kid” Yamamoto vs. Demetrious Johnson – A former Japanese star against an undersized youngster on a hot streak. I’ve seen Johnson numerous times in the amateurs and booked his first pro match, but honestly one of the bigger factors for me are Yamamoto’s weaknesses in this situation than Johnson’s strengths. Yamamoto will have the size advantage, but age is against him. Since 2007, he had two decision losses in 2009 and, in 2010, one win against a fighter with less than 10 pro matches. Granted, Yamamoto’s fought in front of larger audiences, but this will be his first time in a UFC cage, whereas Johnson is no stranger to the octagon nor respected fighters with dominant records. One could argue that aside from Yushin Okami and (debatably) Yoshihiro Akiyama, Japanese don’t typically have the best of luck in their UFC debuts. Prediction: Johnson by unanimous decision. 145 lbs. 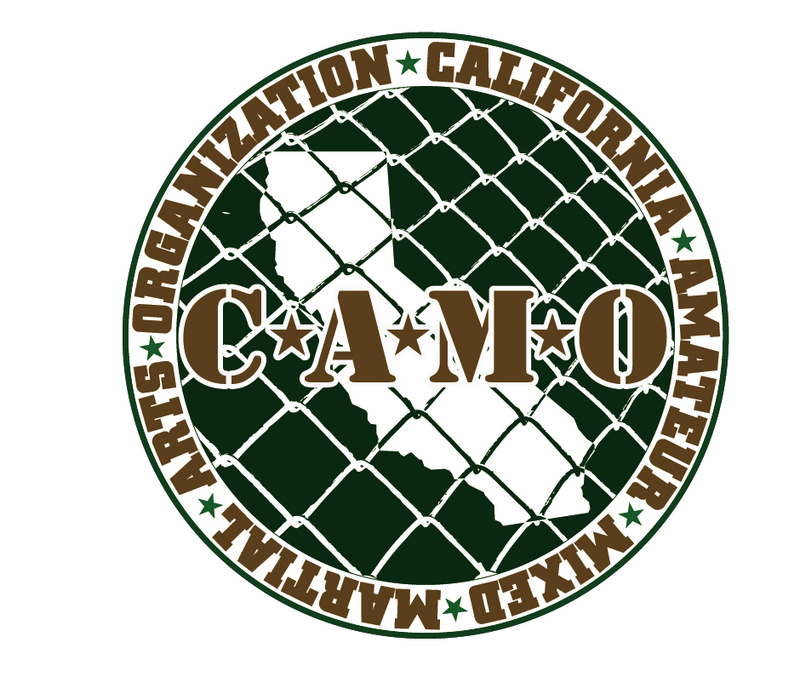 – Chad Mendes vs. Michihiro Omigawa – The undefeated ‘Money’ Mendes (9-0) flies the flag for Team Alpha Male in Northern California, home of Urijah Faber and Joseph Benavidez. Omigawa is a judoka under Hidehiko Yoshida and returns to the UFC on a five-match win streak since mid-2009. He went 0-2 in his last stint against Matt Wiman and Thiago Tavares in 2008, both by unanimous decision. Youth is on Mendes’ side, who is almost 10 years younger than Omigawa. Conventionally, this match would go to decision, but in MMA, logic sometimes doesn’t show up. Prediction: Mendes via TKO (round one). 155 lbs. – Paul Kelly vs. Donald Cerrone – Many have said this match will reveal whether WEC lightweights, of which Cerrone was a star, can hang with UFC-level competition. Despite being a decorated Muay Thai champion, Cerrone owns 11 submission wins out of his 13 victories, and no TKOs or knockouts. And though the WEC title has evaded him on three tries, Cerrone won Fight of the Night honors five times, as well as 2009 Fight of the Year Honors by Sherdog (for his fight against Ben Henderson). Paul Kelly is 5-3 in his eight UFC matches, with three decision wins and one victory each by submission and TKO. Prediction: Cerrone via submission (round three). 135 lbs. – Antonio Banuelos vs. Miguel Angel Torres – Both fighters have a decade of fights under their respective belts and are transfers from the WEC merger into UFC. Banuelos hits hard and hasn’t been finished since 2007 (going 5-2 since then). Torres has 38 wins, 23 by submission (one less than Banuelos’ cumulative record), and went undefeated from 2004 to August 2009. Prediction: Torres via submission (round two). 205 lbs. – Ryan Bader vs. Jon Jones – On paper, Bader has the better wrestling credentials, but in finishing Brandon Vera, Vladimir Matyushenko, Jake O’Brian, and easily handling Matt Hamill (before losing via DQ for illegal use of Dusty Rhodes’ bionic elbows), Jones effectiveness in the cage is undeniable. Bader surprised many in his split decision win over Antonio Rogerio Nogueira, but aside from that match, Jones has dominated against tougher respective competition. The real question is whether Jones will finish or if Bader will take him to the distance. Prediction: Jones via unanimous decision. 170 lbs. – Carlos Eduardo Rocha vs. Jake Ellenberger – With a 9-0 record of eight submissions, seven of those in the first round, Rocha’s jiu-jitsu is legit. Ellenberger, while an assistant wrestling coach for University of Nebraska, has almost 30 matches, half of which are victories by TKO or knockout. He lost a split decision to Carlos Condit, also a jiu-jitsu whiz. On one hand, Ellenberger knows how to avoid submissions, but he hasn’t fought someone of Rocha’s jiu-jitsu pedigree. Then again, lots of fighters like to point out “jiu-jitsu is different when you’re getting punched in the face.” The later rounds favor Ellenberger, but he’ll always be in danger of getting caught. Prediction: Ellenberger by TKO (round one). 205 lbs. – Forrest Griffin vs. Rich Franklin – To use the wrestling parlance, I love babyface vs. babyface and heel vs. heel matches, and this is every bit the former that one could ask. Griffin is a tall 205’er and Franklin is a 185’er who, in the later years of his career, is returning to 205. Griffin’s matches are always brutal, thrilling dogfights, and his wins over Quinton ‘Rampage’ Jackson and Mauricio ‘Shogun’ Rua speak volumes, but those were both over two years ago. Since then, he’s succumbed to strikes from Anderson Silva (who wouldn’t?) and Rashad Evans (see Anderson Silva). The question becomes ‘can Rich Franklin strike as fast and as hard as they did?’ Unfortunately, this isn’t the Randy Couture vs. Matt Hume strategic chess match that I would have loved to see, which, without taking anything away from Jorge Gurgel, could play an understated factor in the outcome. Prediction: Franklin by TKO (round two or three) or Griffin via split decision. 185 lbs. (UFC Middleweight Title) – Anderson Silva vs. Vitor Belfort: For me, the question here is simply ‘which Victor Belfort will show up?’ Skillwise, both men possess baffling hand speed and accuracy, and as former training partners, their mutual awareness of each others’ skills is there too. Many would say that Chael Sonnen exposed the key to beating Silva, and with Belfort working with Xtreme Couture, not only was that key surely noted, but likely also built upon at the Couture compound. That said, between the bad blood and the seeming inability for anyone to defeat Silva, it’s hard to envision that the Spider would show up unprepared and lacking. Prediction: Silva by TKO (round three). From the street to the suite, UFC 126 is the first show I’ve been excited about in a long time. I’m one of the few that were entertained by Silva’s in-cage antics against Patrick Cote, Thales Leites, and Damian Maia. But I’m also excited about seeing someone who could actually offer some striking competition to the elusive Spider. I think Griffin x Franklin is imaginative and competitive, while Jones x Bader is crucial for the future of the 205 division. Likewise, the groundswell of demand to see Johnson x Yamamoto, which will now be streamed live (and free) at www.Facebook.com/UFC at 8:00pm EST / 5:00pm PST, is a great sign of lower-weight fighters getting the mainstream recognition they deserve. Garren Smith came off a 10-month hiatus to win via TKO at Respect in the Cage on October 9th. After ten months of injuries, false starts, and continuous struggle to hit the restart button, pro heavyweight Garren Smith restarted his momentum with a dominating win on October 9th at the Fox Theater in Pomona, as the semi-main event in Respect in the Cage. Smith beat hometown favorite Andrew “Spike” Gutierrez by TKO in the second round, after Gutierrez’ corner threw in the towel. 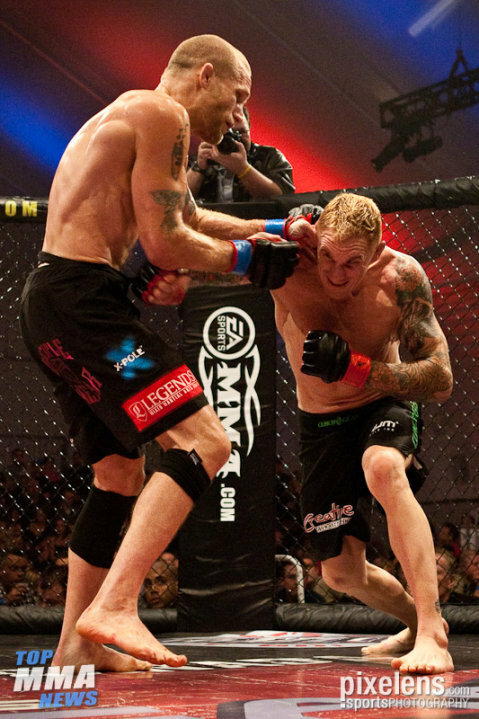 Smith’s previous outing was in December of last year in Oregon, against former IFL star Devon Cole. “I knew Garren was going to win this fight because I spar with him, and I know how good he really is. . . They both went 110%, trying to knock each other out. It was an awesome fight. For people watching, I bet it was really exciting fight to watch. Seeing two big guys go at it that hard is pretty bitchin’,” said cornerman Amir Rahnavardi. “For having not fought in 10 months and go in there and fight a tough guy in there like that, and to show the skills that he showed in there, I was impressed,” noted Smith’s teammate and other cornerman, Chris ‘BLVD’ Brady. As if Smith wasn’t facing enough pressure coming back from such a long hiatus, contractual hold-ups at weigh-ins caused more confusion. Unbeknownst to him and his team, Smith was kept on reserve as a likely (but unconfirmed) last-minute replacement. Gutierrez originally was scheduled to face John Potter in a match based on personal issues. According to promoters, with Potter’s reputation for no-showing, it was expected that the match would fall through, and as such, Smith would be their fill-in. Indeed, Potter was not present at weigh-ins, nor did he provide the necessary medical and licensing paperwork to California State Athletic Commission (CSAC) officials. Only after it was established the Potter could not be licensed in time did promoters finally provide bout agreements to Gutierrez and Smith. The story of the match itself was Smith stalking Gutierrez with left hooks and kicks to the legs and body, setting up for a Thai plumb clinch and knees. Gutierrez worked to keep him at bay with overhand rights and various kicks of his own. Early in the first round, Gutierrez shot in for a takedown, but Smith caught him with a Thai clinch and knees. He later hit a judo trip on Gutierrez and held him briefly with a front facelock. Gutierrez actually turned his back standing at one point, giving Smith the opening to charge in with an overhand right. However, Gutierrez ducked and Smith fell into the cage. Round two saw Gutierrez throw a high kick, slipping in the process and again giving Smith the window to pounce. Smith landed approximately 50-60 strikes before Gutierrez’ corner threw in the towel at 1:07 of the second round. Smith was aware that ring rust could be a potential big factor in his performance, and in particular noted that the match showed where there was room for improvement: “It made me realize just how much work I’ve got to do. I’ve got to get into way better shape for any fight I take. If I had fought a top caliber opponent for that fight, I’d have been done,” he explained. 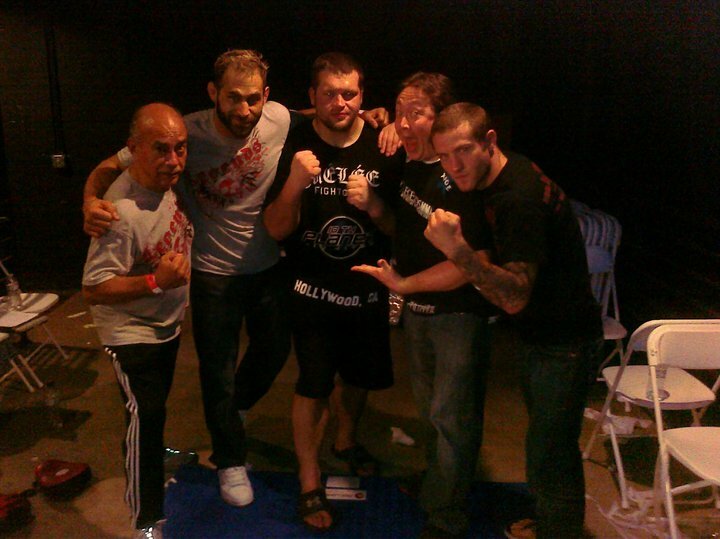 Smith, surrounded by the Legends MMA team after his victory. Besides a return for Smith, the match also represented continued growth for the Legends team, as the unprecedented combination of Rahnavardi, Brady, and in-house chiro Dr. Joe Canul worked Smith’s corner. Likewise, Rahnavardi noted “the thing that most impressed me with Garren for this fight is how hard he worked eight days before. Because I really pushed him on cardio. He listened to everything that I said as far as getting into shape and dropping the weight. . . What I was telling him on the pads, the way that I was warming him up – he was receiving everything 100%, and then it seemed like everything just fell into place for him,” said Rahnavardi. Of course, Smith’s win was a big shot in the arm for the rest of the team, several of whom fight later this month and towards the end of the year. “That energy, his positive energy, his happiness, comes into our lives, comes into our mindsets and brings that out in us in our fights,” explained Brady. Smith is expected to appear at Respect in the Cage’s next event, scheduled for November 12th at the Fox Theater in Pomona. He is sponsored by X-Pole, The Hundreds, and Royal Clayton’s English Pub.